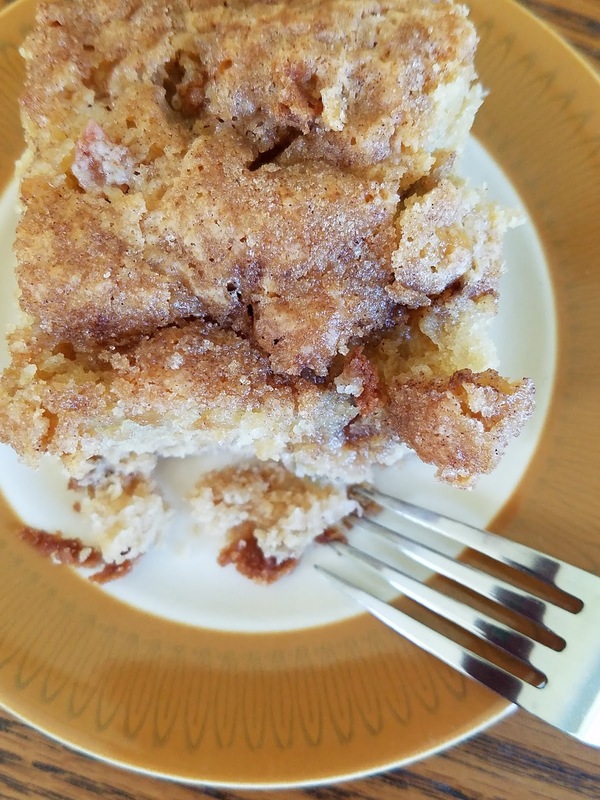 Did everyone know Sue, your Innkeeper, enjoys baking from scratch a sweet for Nestledown's evening snack? 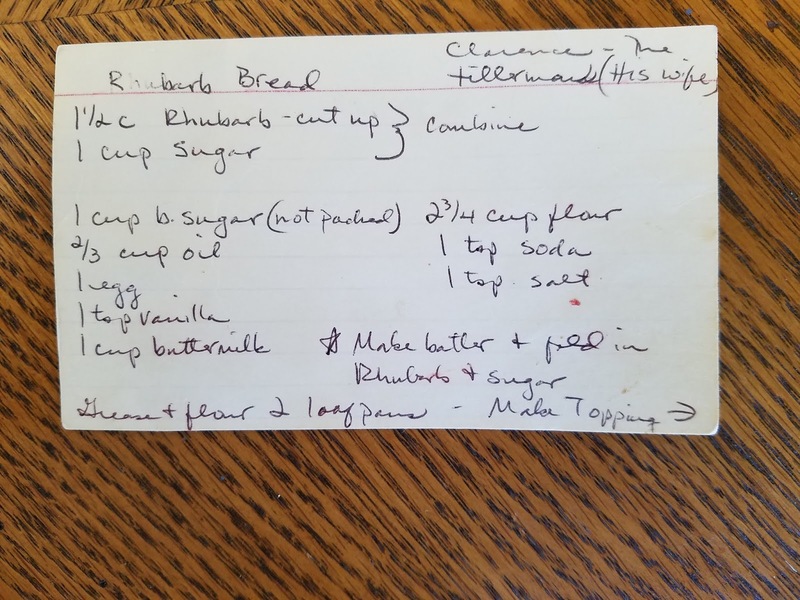 This day it is Tillerman Clarence's Rhubarb bread. It is a favorite of mine and I am reminded of the sweet man who would rototil our garden every spring. 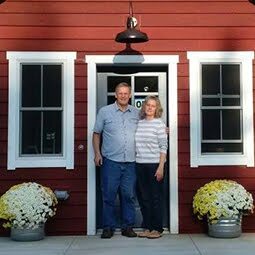 He shared his wife's recipe with me one year. 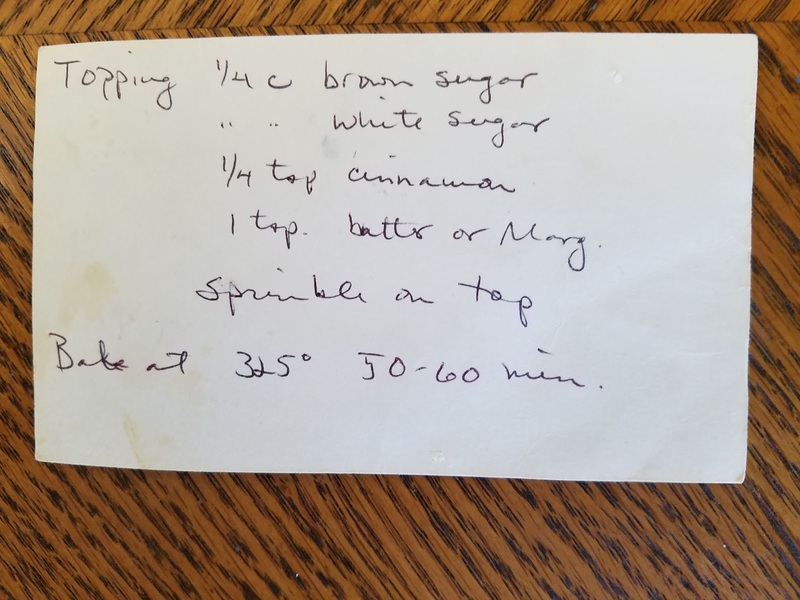 He missed her very much after she had passed away and told me he missed her cooking and that he should have learned some of her recipes. He was great at the rototiller. He owned a big Troybuilt that he could maneuver through the soil, loosening it deep and then finish without leaving a single footprint. Cool! 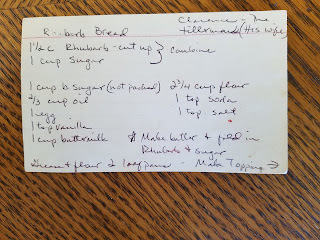 Here are photos of my rhubarb bread recipe card. I never rewrite and I always keep them in the original way the recipe came to me. 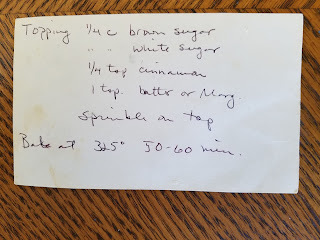 I love the memories in my bin of recipes and especially like seeing the handwriting of those who have shared their favorites. I don't even file them in order or type. When I need one I like going through the whole pile, seeing all of them. It is one of the spots in my life where I keep reminders of tender moments and times shared. I have other places too.